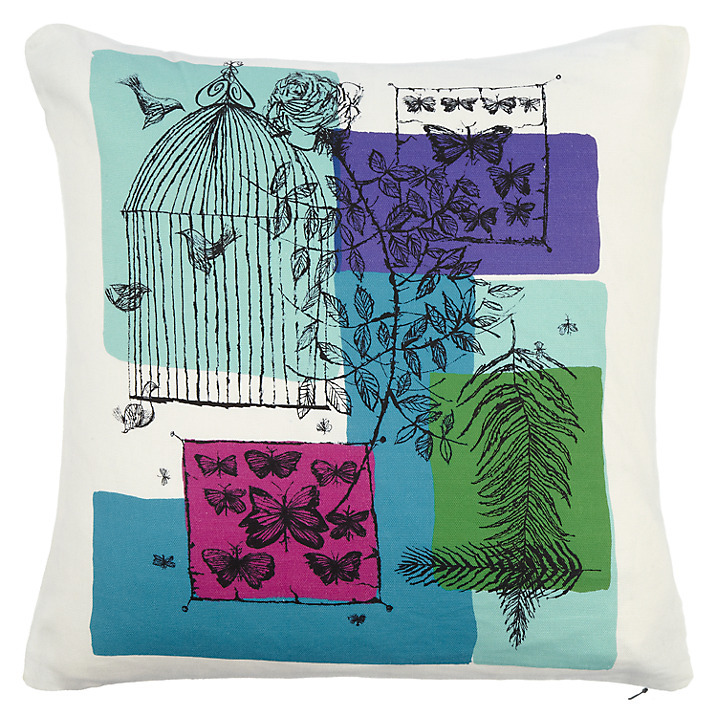 After a lovely catch up with the fab guys at John Lewis Nottingham, I just wanted to pass on a few great things I’ve found out. As you may know, John Lewis has turned 150 years old this year, and to celebrate there are lots of things happening in stores across the country. 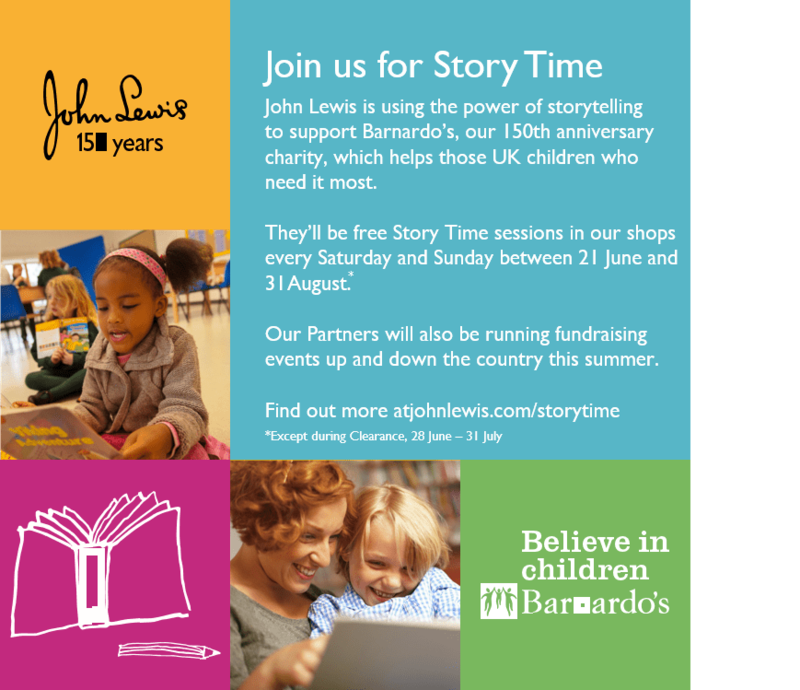 This summer, they’re offering free Storytelling sessions to support Barnardos and the amazing work they do. Here in Nottingham, from June 21st, every Saturday and Sunday until the end of the Summer Holidays, they’ll be hosting storytelling sessions, kicking off with local author Deborah White. You could even get involved yourself if you want to! Lots of staff will be telling the stories, as well as lovely blogger Becky Goddard-Hill, who is a trained storyteller herself. It sounds like great fun, and will hopefully raise lots of funds for Barnardos Butterfly Project. The Butterfly Project supports families in Nottingham who have a child suffering from a life-limiting or threatening condition. Working closely with local hospitals, we offer the child, siblings and their parent’s ongoing practical and emotional support from diagnosis to bereavement. We are there to help families explore and express their feelings and feel supported in any choices they make around their child’s ‘end of life care’. To enter, you just need to share your own splendid story with us. We want to read something exciting – use your imagination to come up with something new or tell us a true story. Once you’re ready, draw your story in the boxes on the other side of this entry form and write a description underneath to explain what is happening. Find out more and to dowload an entry form go to johnlewis.com/mysplendidstory Entries must be submited by Friday 19 September 2014. Good luck! For local Nottingham peeps, look out for the entry submission box in the local John Lewis store. Bringing Skills to Life is a primary education programme from John Lewis. It is about allowing pupils to explore, imagine and create, while equipping them with many life skills. Through this education programme we aim to inspire children and develop their imagination and practical skills. Staff from local stores will be visiting local schools to help deliver this programme, so if you’d like your school to be involved, all you need to do is register here. Simple. What a great way to access free and quality projects for your school.